1971 – 1984: Began study of astrology in India and Britain. Moved to Denmark. Started as part time astrological consultant President of Ekliptika (Copenhagen Astrological Association). 1985: Became full time astrological consultant. Over the years I have had several thousand clients from all walks of life: politicians, actors, singers, artists, psychologists, and professionals from all over the world. This experience has formed the raw material for my books, programs and astro-reports. 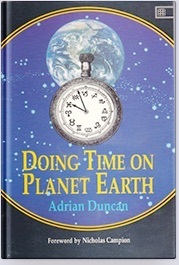 1989 – 1991: Host astrologer on national TV for program series “Ugebladet” Adrian’s book “Doing Time on Planet Earth” published by Element Books. 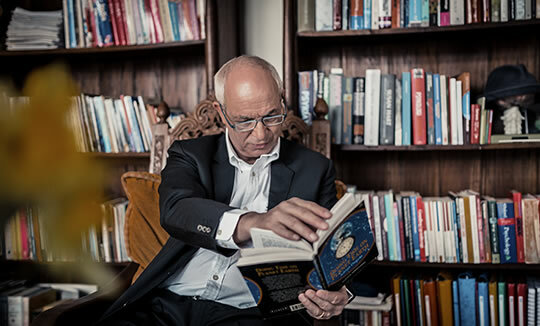 (UK) Book released in Denmark as “Det astrologiske urværk”. Organizer of Copenhagen Astrology Congress where astrologers from iron curtain countries were invited to West for first time. 1992 – 96/97: Speaker at Astrological Association congress, London. Developed software for TV astrology quiz program. Created website www.worldofwisdom.co.uk with articles, software, sun signs etc. 1995: Release of the horoscope interpretation program “Horoscope Interpreter”. Formed the company World of Wisdom to promote this software. This software has become the world’s best-selling astrological software. Translated into the following languages: German, Japanese, Dutch, Spanish, Portuguese, Greek, Hungarian, Norwegian, Danish, Finnish and Swedish. Speaker in United Astrology Congress - UAC (California). 1991 – 1997: Established and ran “AstrologSkolen” (The Astrologer School) in Copenhagen, which specialized in the further education of astrologers and training in the consultation process. 1998 – 2001: Moved to England. Became editor for the Astrological Association of Great Britain Journal, the world’s most prestigious magazine for astrology professionals. Released relationship software “Astrology for Lovers” – the second software production after Horoscope Interpreter. This has been translated into: Spanish, Portuguese, Danish, Swedish, Greek and Hungarian. 1998 – 2001: Speaker in United Astrology Congress - UAC (Atlanta). Speaker in Norwac Congress (Seattle) Speaker at NCGR congress (Boston). 2002 Speaker in United Astrology Congress (Orlando). Speaker at Australian Congress (Melbourne). 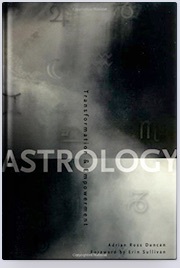 My second book “Astrology: Empowerment and Transformation” published by RedWheel/Weiser in New York. 2003 – 2004: Created server-based software “The Astrological Calendar”. Developed server capability for mass distribution of astrology reports. (See www.astrowow.com) Panel astrologer in Danish TV series “The Sixth Sense”. (Viewers approx. : 800,000). 2005 – 2007: Became portal partner with MSN Denmark, Spray in Sweden and Lycos UK. Speaker at Astrological Association congress in York, Great Britain Speaker in United Astrology Congress (Denver). 2009: Became portal partner with NetDoctor, Jubii and Scandinavia’s largest magazine publisher, Aller. Converted Horoscope Interpreter and AstroCalendar to real-time server generated report-writing software. 2011 – 2014: Set up office in India to promote WOW products worldwide and develop second generation of WOW software. Speaker at United Astrology Congress (New Orleans. 2014 – 2017: Moved to Copenhagen. Developed SunSIgn app to display daily, weekly, monthly and yearly sunsigns. Developed Astrowow-AstroClock app to calculate and interpret horoscopes in 10 languages. Speaker at ISAR congress Philadelphia and NORWAC in Seattle. 2017... Organizer of Mundane Astrology section of 2018 UAC congress in Chicago. Launch of brand new ASTROWOW website.